Come March and taxpayers will run helter-skelter to invest in tax-saving schemes in order to save paying huge amount in taxes. Advance tax planning helps you choose your investments wisely. You get ample time to compare and choose the plan that will maximise returns apart from providing tax benefits. Depending on your needs and financial goals, you can pick and choose the plan or scheme that is just right for you. Also, you can choose the right mix of investment instruments that will maximise your returns even while saving your taxes. This is not possible when you are investing in haste, because the only thing weighing on your mind in such a situation is saving taxes. National Savings Certificates (NSCs) and Public Provident Fund (PPF) are great tax savings instruments, but they offer fixed returns and their lock-in period is much higher than, say, Equity Linked Savings Schemes (ELSS) offered by mutual funds. So, start thinking beyond NSC and PPF and you may reap the twin benefits of saving taxes and growing your investments too. Repayment of home loan or education loan, payment of premium for medical and life insurance for yourself and your dependent family members, donation to a charity that offers tax deduction, payment of children’s tuition fees and contribution to EPF, all these payments and contributions qualify for deductions under the Income Tax Act. 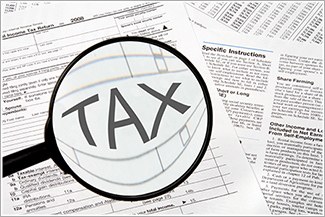 Take advantage of these provisions and reduce your tax liability.